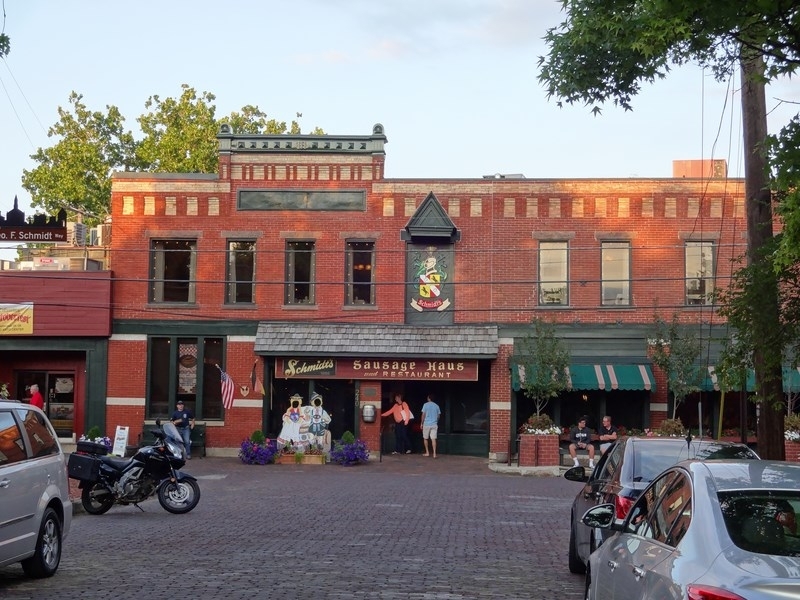 Way back in 1814, the German Village neighborhood was added to Ohio’s capital city of Columbus. Ever since, it has been a vibrant addition to the area, attracting visitors and homeowners from all over with its brick-paved, tree-lined streets and red-brick houses. Because of this, German Village is considered as one of the most desirable areas to live in the city. More than 1,600 buildings have been restored since 1960 is considered to be one of the most premier restoration districts in the world. Want to know more about the rich history of the area before you explore on your own time? No problem! The German Village Visitor Center is open 6 days a week year round and 7 days a week from April to November. The hours of operation vary, so make sure you plan out your visit ahead of time. The center is entirely staffed by volunteers. During the volunteer presentation, you will watch an 8-minute history video to get you oriented to the German heritage of the area and the pioneering preservation activities that keep the village up and running. The volunteers are also there to tell you anecdotal information about the area and offer advice on how to make the most of a day in German Village-exploring, shopping and dining-so use their knowledge and expertise to your advantage! Brush up on your German Village history before you take to the streets! From souvenir shops to bargain bookstores, you’ll find everything you need. Feed the inner bookworm in you, and head on over to The Book Loft! This bookstore is one of the nation’s largest independent bookstores. This bookstore was set up in pre-Civil War era buildings that once were general stores, a saloon and a nickelodeon cinema. Those buildings now are home to 32 rooms of bargain books. While you’re in Ohio, you might as well buy Ohio-made items! The German Village souvenirs & gifts in this store are from nearly 100 local artists and vendors. You can find a miscellaneous collection of things to buy from jewelry to candles and pet treats. If that wasn’t enough, there’s an art gallery on the second floor of the shop that features originals and print reproductions of the area. The store is located in a historic 146-year-old stable. There are many other shops worth exploring while you’re in the area, so be sure to check out the full list of stores. ‍You can’t pass up German food when you’re in German Village! Craving a savory sit-down dinner? Maybe a quick, sweet treat from a bakery? Whatever you’re looking for, German Village has it in the form of a restaurant, bakery, or dessert house. Five generations of Schmidt family members have worked to bring you real German food. They’re known for their mouthwatering jumbo cream puffs. The restaurant is a nationally registered historic site in German Village. There is a beautiful banquet haus upstairs and live German music throughout the week. Their menu features some of the most original and delicious German dinners. Whether it’s the amazing Alpine Chicken Spatzel or the Weiner Schnitzel und Gravy, Schmidt’s has the kind of German food you’re looking for. Transport yourself to Germany with these great eats! Feel good while you sip locally made chocolates and fresh roasted gourmet coffees. The establishment was founded in the late 1800s and it’s currently in its 4th generation of family ownership, making it one of the older, family-owned and operated chocolate confectionaries in the country. If you have a sweet tooth, you’ll love their assorted chocolate selections, hand-wrapped caramels, and old-fashioned brittles. You won’t be coming down from this sugar and caffeine high anytime soon! If you’re looking for something a bit different, don’t worry! There are a ton of other options to explore that’ll satisfy your hunger. ‍ Unwind as you take in the natural beauty of German Village. Maybe you’re feeling really full after a great meal you just had in German Village. Walk around and explore Schiller Park to shake the feeling away! This park is named after the German poet, Friedrich Schiller. Today, the park thrives with garden tours, festivals, playgrounds, the work of Actors’ Theatre, which includes various play series, and more. Also be sure to check out Huntington Gardens within the park and the other park within the Village, Frank Fetch Park. ‍Take time to pamper yourself while you’re in the village. Sightseeing is fun, but it can take a toll on you. With many services available to you, you might want to try out a salon and/or spa before you conclude your day or weekend in German Village. There are 11 stylists and spa specialists at this dual spa and salon ready to pamper you! Whether you’re looking for an express facial, a mani/pedi, or a cut and style, Studio Fovero has got you covered. There are many other services to choose from in the village, so be sure to check out the full list. 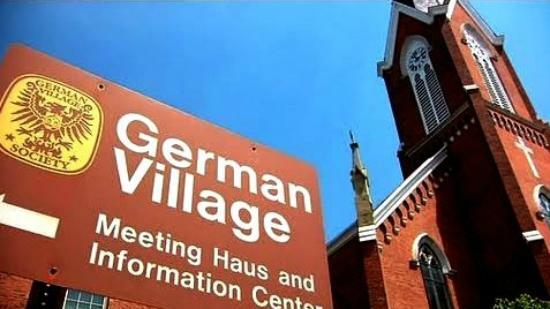 The German Village is a neighborhood like no other neighborhood in Ohio. Plan your visit or move to the area and take in all of the rich history, shops, restaurants, services, and parks that are offered.